He talked to Business Insider about coming up with the right tone for the character. And we chatted about his Oscar win in 2002. Walton Goggins is one of those actors you can’t help but root for. From his breakout performance in the 2000s FX hit “The Shield,” to his Emmy-nominated work on “Justified,” to his recent string of impressive performances in Quentin Tarantino movies (“Django Unchained” and “The Hateful Eight”), he’s done it all over his 28-year career. But only recently has he gotten cast in the high-profile projects he deserves (upcoming ones include “Ant-Man and The Wasp” and a TV series on the popular James Ellroy book “L.A. Confidential”). Goggins also plays the villain in “Tomb Raider” (in theatres Friday) opposite Alicia Vikander in the title role. In a movie that tries very hard to show its hero Lara Croft is not a superhero but instead an ordinary person doing extraordinary things, Goggins used that real-world template to craft Mathias Vogel. 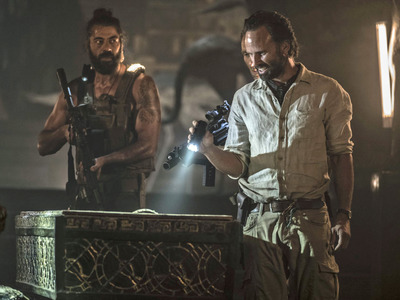 Vogel is the leader of the expedition to locate a hidden tomb on a mysterious island who, after seven years of searching, has gone a little mad and is obsessed with finding the tomb so he can return to his family. Business Insider talked to Goggins about crafting this grounded character, preparing to take on the role of Jack Vincennes in the “L.A. Confidential” TV version, and the night he won an Oscar. Jason Guerrasio: First off, Mathias Vogel – he’s a relatable villain. Walton Goggins: You know what, I’ll take that. OK.Guerrasio: Because if I was on an island for seven years just blowing up rocks I would probably lose it too. Goggins: I think so. If you really take a walk in his shoes – that he’s a father and the day he left his family he kissed them all on the cheek and said he would be back in a year – you understand him. Desperate people do desperate things and that was my only way into him. Guerrasio: I feel you could have done this role two ways: Play him really crazy and do a scenery-chewing performance or do what you did – make him more grounded. Goggins: You know I had a lengthy discussion with Roar Uthaug, our director, on a Skype call and I said, “If you want me to be a part of this story I think this is how I can help you tell it.” It was in a grounded way. And I thought Alicia was going to do the same thing and Roar wanted to tell a similar story so we were all on the same page. To take it out of the realm of superpowers because Lara Croft doesn’t have them. With everything I’ve been fortunate enough to do that’s always been a part of my experience, be truthful to who these characters are. Even how grandiose Lee Russell was in “Vice Principals,” he’s still a person in the world with deep pain. That’s what interested me. Guerrasio: Was the “Tomb Raider” role also attractive because it’s basically a one-off in the franchise? You don’t have to be stuck with a character for years. You can get in and out. Goggins: Huh, no one has asked me that. If I was offered a character in a franchise in a meaningful way I would have done that, for sure. But I don’t think about those things. For this, this is a complete journey for this character and that’s really satisfying. Goggins: I don’t know man, you got to see the movie. [Laughs] We’ll see what happens. Guerrasio: Have you ever auditioned for a major Marvel or DC character that would have locked you into a franchise? Have you gone down that road yet? Goggins: No. Not beyond what I’ve participated so far. I look at it like this, honestly, I’ve been in television for 15 years and however long it takes to tell the story that’s how long it takes. 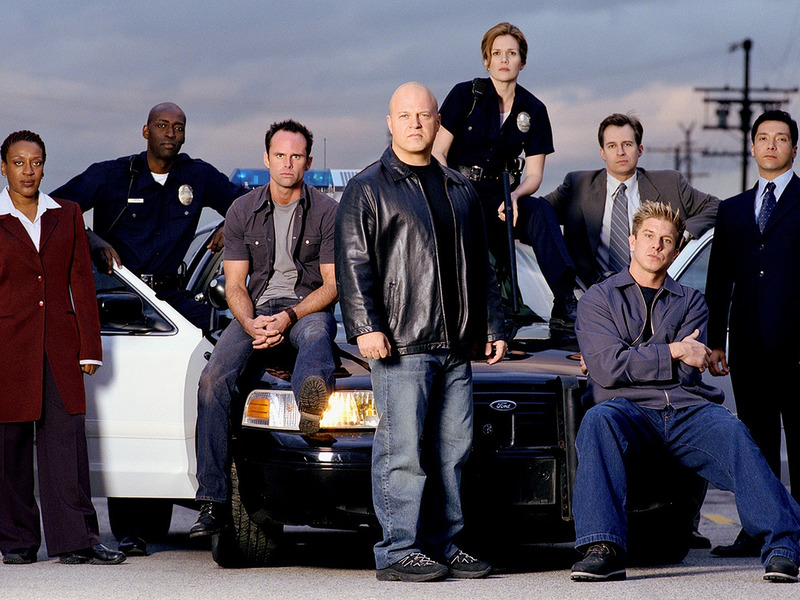 For “The Shield,” I don’t think [creator] Shawn Ryan had any idea that it would go seven years. But the story goes until the time when it doesn’t need to anymore. And that’s how we all felt about “Justified” too. So whether it’s sequels or franchise, if you’re doing it from an authentic place and it rings true then I’m up for it. Guerrasio: Has it been crazy to watch the evolution of television from back on “The Shield” to how it is now? A lot of talent believe it’s more rewarding to do TV these days more than movies. That wasn’t the case when you started out. Has that been weird to see how things have shifted? Goggins: With TV it’s just rewarding because in a serialized story things can play out over a very long time so the opportunities to really explore nuances are there. It’s very rewarding right now, but I feel that way about movies. The way they wanted to tell Lara Croft in this “Tomb Raider” movie is very refreshing and different. And this is possible because of what’s coming out of TV now, each impact the other. 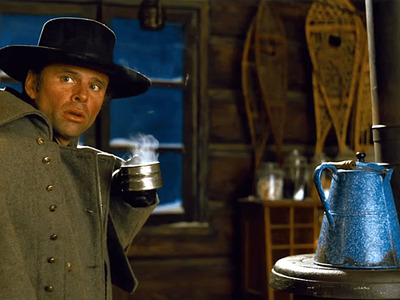 Guerrasio: You’ve bounced back and forth from movies and TV for a long time.Goggins: A long time. Guerrasio: Did things change in the offers you were getting when you starred in back-to-back Tarantino movies? Goggins: Yeah. Most people who have worked with Quentin you measure your life in “before Quentin Tarantino” and “after Quentin Tarantino.” But for me it’s never been more complicated than to be good at telling stories. The cherry on top, though, is working with filmmakers like Quentin.Guerrasio: Will we see you in the next Tarantino movie? Goggins: Buddy, I don’t know who you are talking about right now. [Laughs] Tarantino who? No. He’s very private in his process and I respect that. We’ll see. Maybe. Guerrasio: But you’ve done two movies with him, are you at the point where you can text him and just say hi or do you just wait and see if you’re called on again? Goggins: It’s not something that you ever expect to happen again. When you get that call, that golden ticket, you just jump on the ride. Goggins: I can tell you that it isn’t a remake of the movie (in which Kevin Spacey played Vincennes). It is a telling of James Ellroy’s novel and I’m really excited about it. Guerrasio: I’m actually reading the book again right now. There’s so much to the Jack character that was not explored in the movie. Goggins: That’s how I feel. I’m just reading Ellroy for the first time now. Guerrasio: It’s a quick read, right? You just fly through his books. Goggins: Yeah. And the story behind how he found his voice for “L.A. Confidential,” from what I was told, is he was told to cut a third of the book and he couldn’t do that so we went back to page one and just began cutting words and sentences and did it through the whole book and it became this rapid, quick-fire read. I’m just blown away by it. 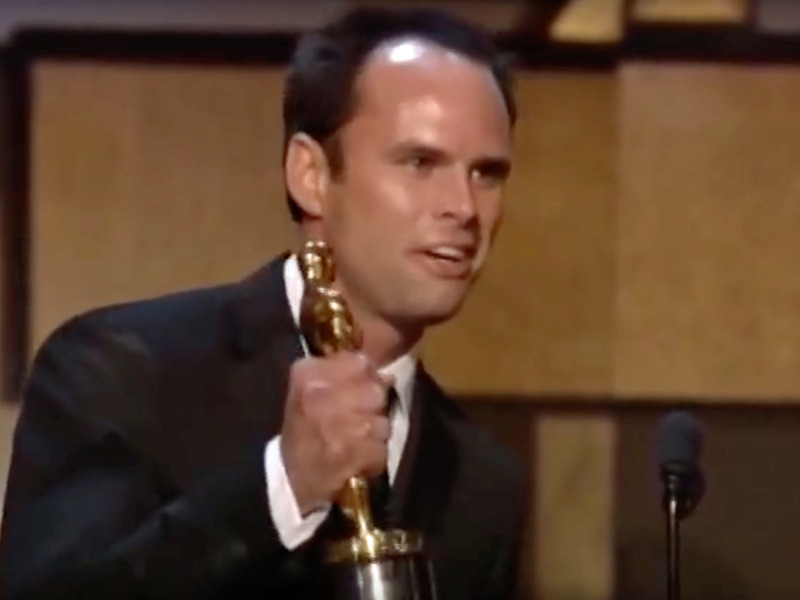 Oscars/YouTubeWalton Goggins on stage at the 2002 Academy Awards accepting the Oscar for best live-action short film. Guerrasio: It dawned on me the other day, you are an Oscar winner. You won in 2002 for a short film you starred and produced, “The Accountant,” right? Goggins: It was myself and my two partners, Ray McKinnon and Lisa Blount, who has since passed away. And in the short film category you can only put two names down for the award, so it was Ray and Lisa, but we all did it together so we all decided we’d walk up on stage. And we timed our speech so we all could talk in 30 seconds and not piss anyone off. It came from the heart and it brought the house down. And that’s hard to do after Sidney Poitier just got his lifetime achievement award. It was pretty incredible. Guerrasio: Do you have one of the Oscars? Goggins: I have one and Ray has the other and we have Lisa in our hearts.